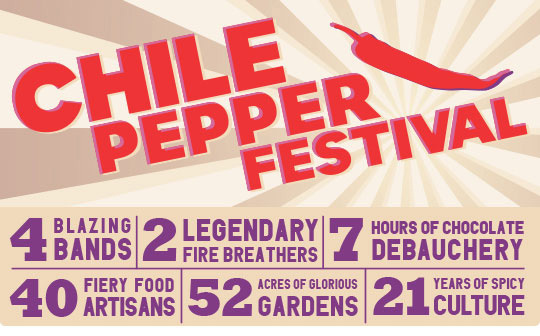 Thrill-seeking eaters should check out Brooklyn Botanic Garden‘s annual “Chile Pepper Festival” taking place Saturday, Oct. 5. Returning for its 21st year, the fiesta showcases the Botanic Garden’s own chile peppers, peppers from local farms and spicy dishes from over 20 chefs. Another highlight of the festival is the “chocolate debauchery,” where 14 chile-cholatiers will show off their spicy chocolate plates. In addition to the chow, the day-long event includes live music, traditional dancers as well as fire-breathing performances.